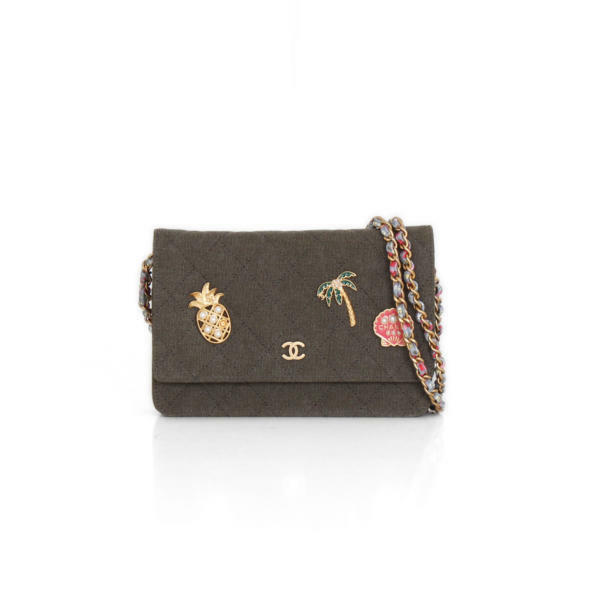 This fabulous bag Chanel Coco Cuba Charms wallet on chain is the most elegant way to carry your essentials for the day. 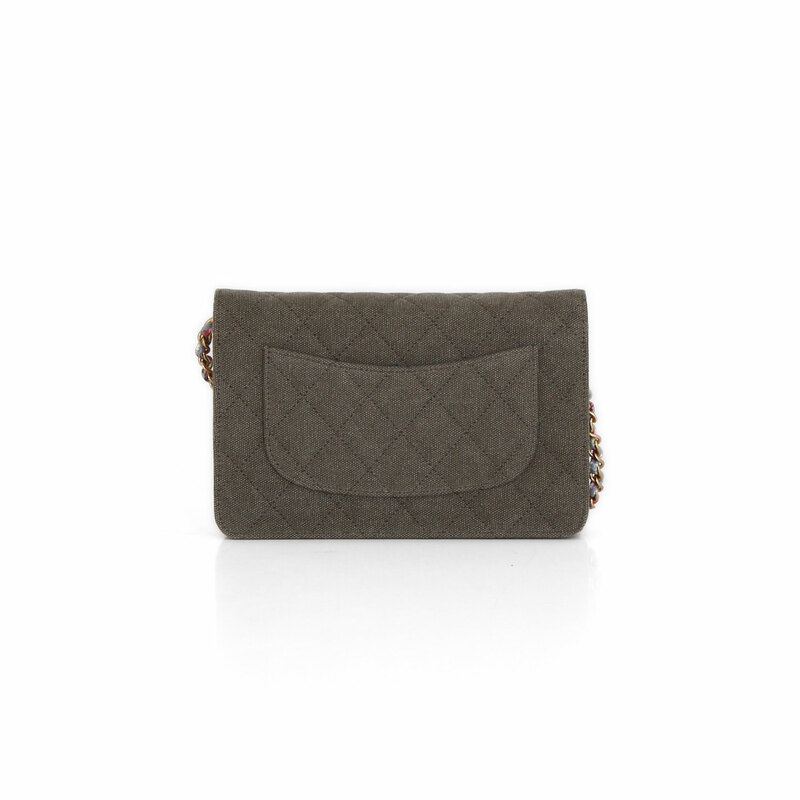 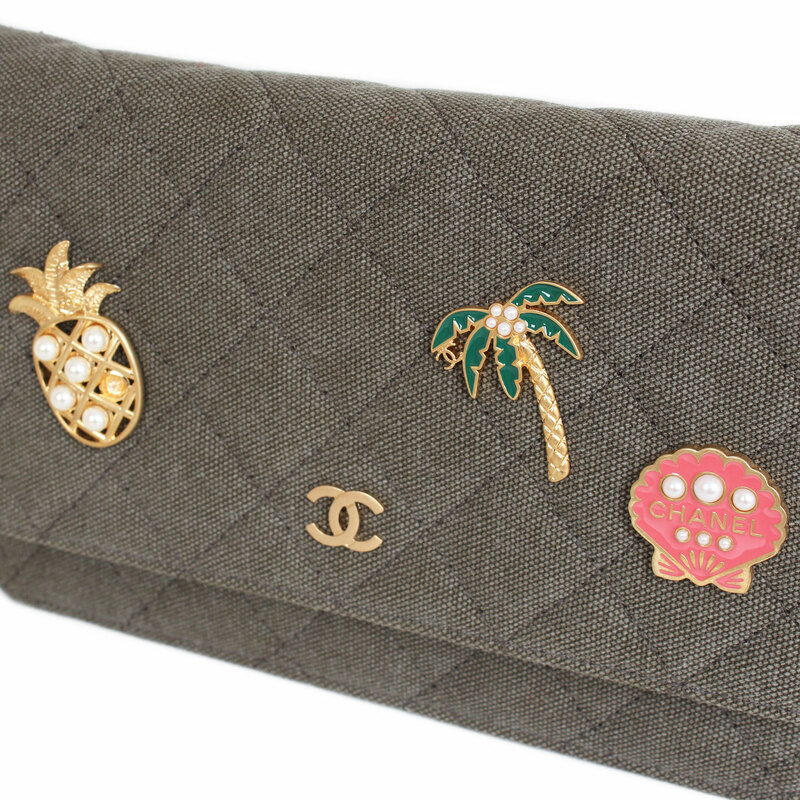 This Chanel Coco Cuba Charms wallet on chain bag is made of green canvas with the iconic Chanel quilted seams. 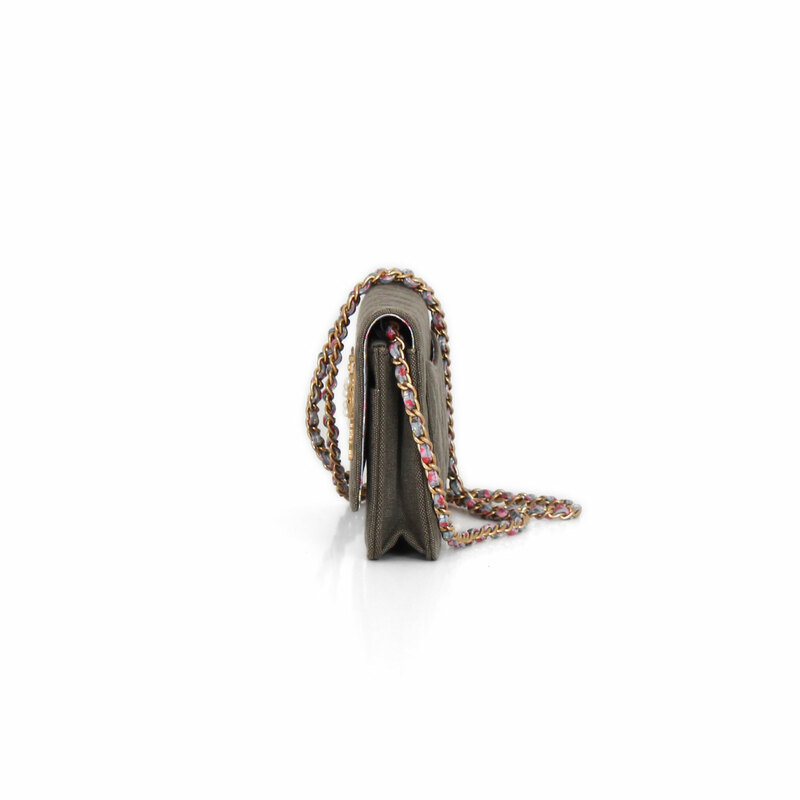 The bag features a long golden chain link strap braided with multicolored fabric. 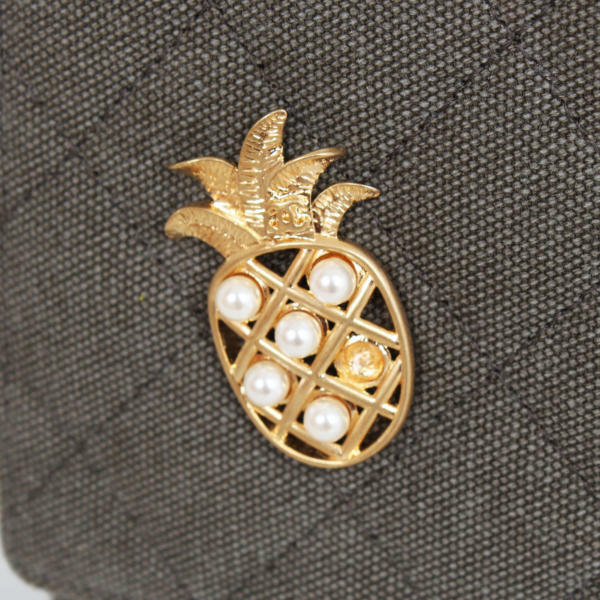 It has 3 charms with tropical motifs on the front flap. 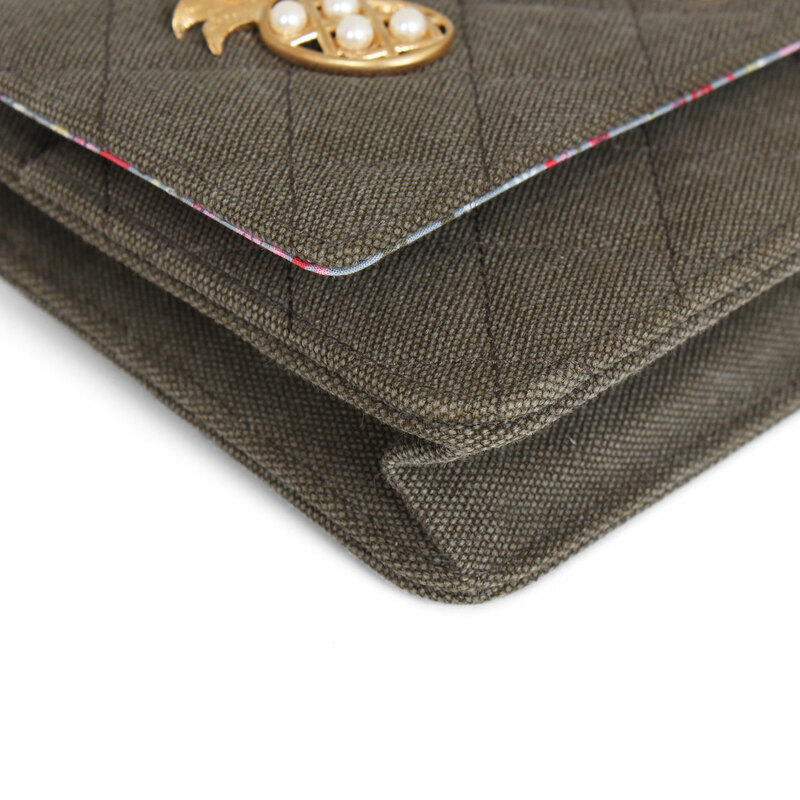 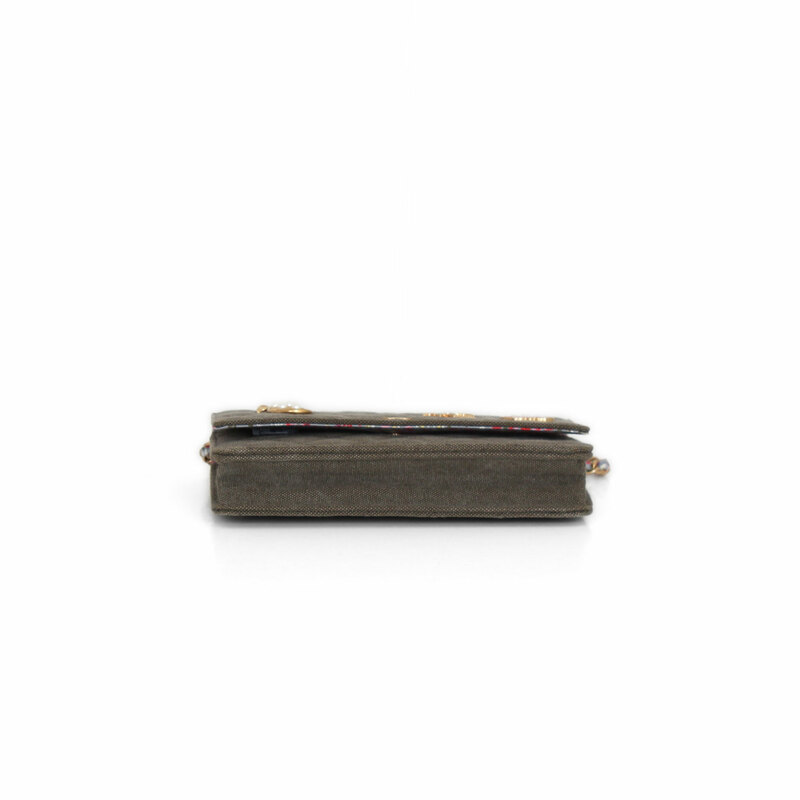 This opens to a fabric interior with floral print with a zippered pocket and card slots. 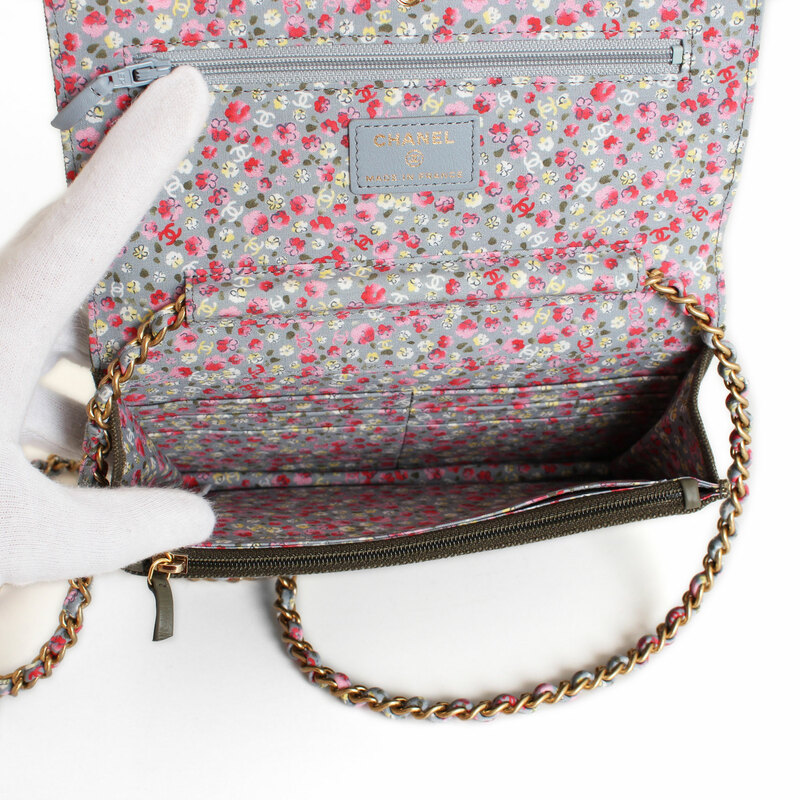 This playful bag is perfect for summer with a timeless style! Details: It lacks a pearl in one of the charms.